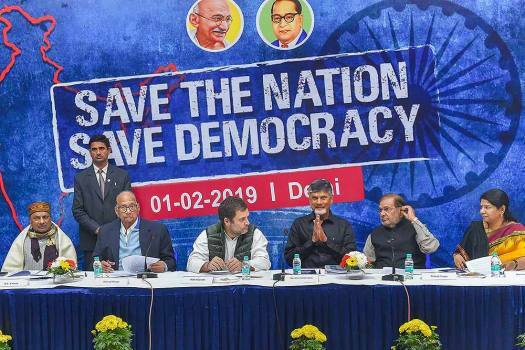 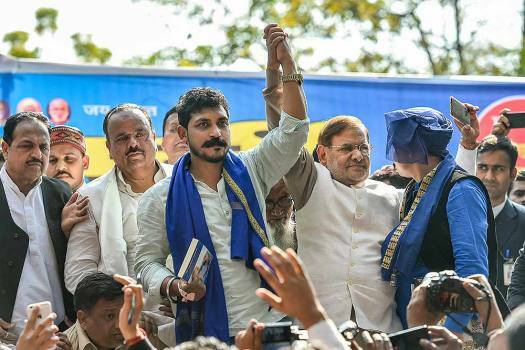 Bhim Army chief Chandrashekhar Azad and Loktantrik Janata Dal (LJD) leader Sharad Yadav during Bahujan Hunkar rally at Jantar Mantar, in New Delhi. 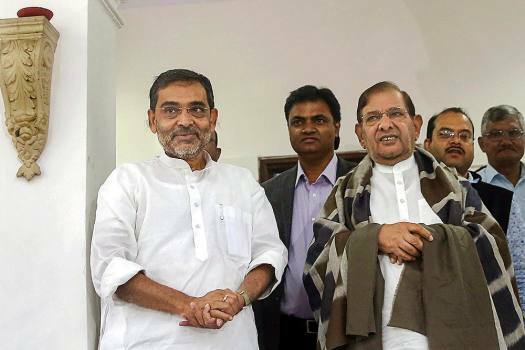 Union minister and Rashtriya Lok Samta Party (RLSP) chief Upendra Kushwaha meets with expelled JD(U) leader Sharad Yadav in New Delhi. 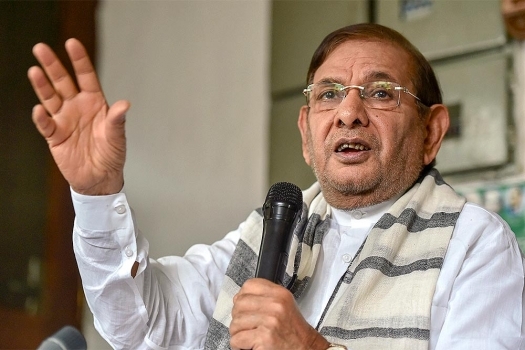 Loktantrik Janata Dal leader Sharad Yadav addresses the media on the issue of Kerala floods, at his residence in New Delhi. 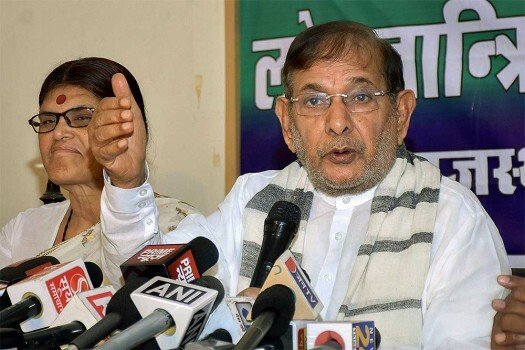 Loktantrik Janata Dal party (LJD) leader Sharad Yadav addresses a press conference, in Jaipur. 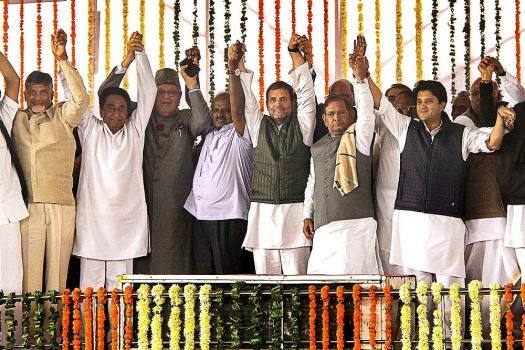 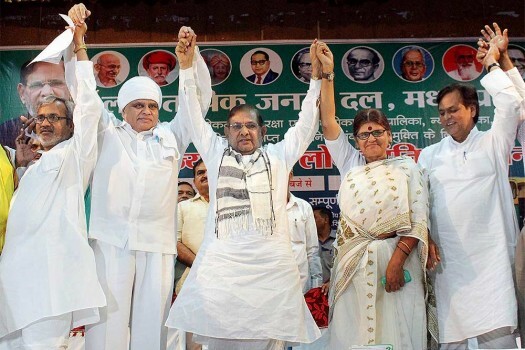 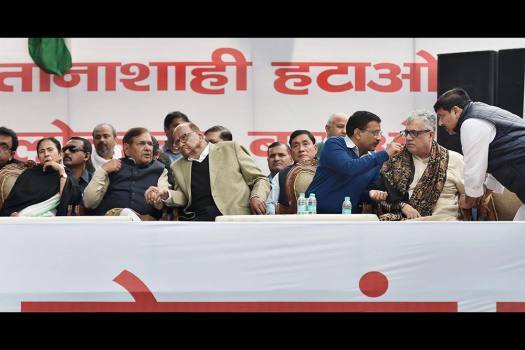 Loktantrik Janta Dal leader Sharad Yadav and other leaders during the Lok Kranti Sammelan, in Bhopal. 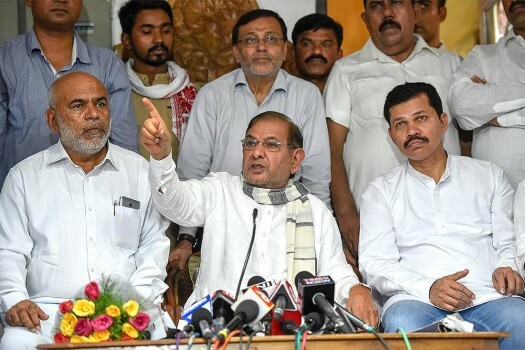 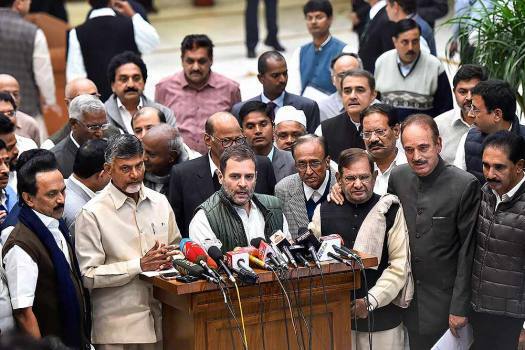 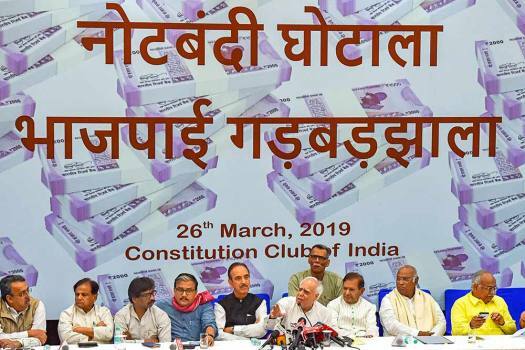 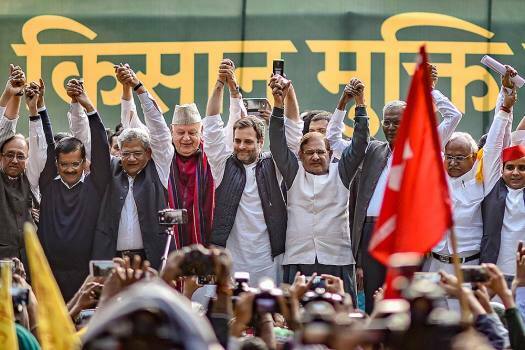 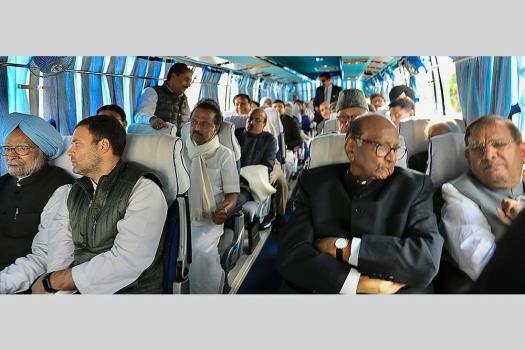 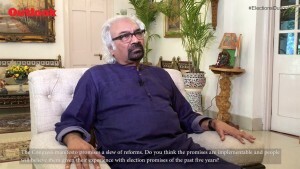 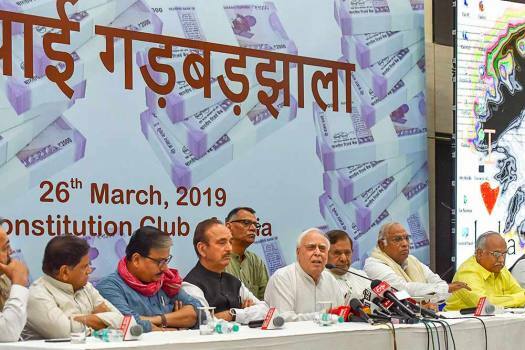 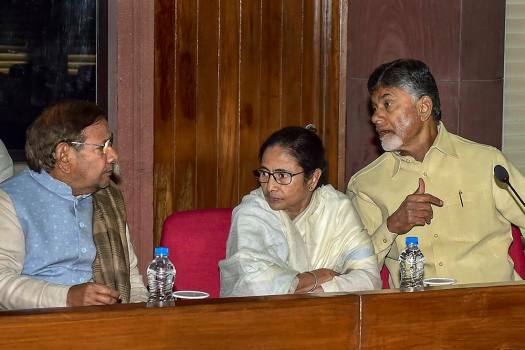 Yadav tweeted that despite having achieved power through the back door in Bihar and having 22 sitting MPs, the party agreed to give an equal number of seats to Kumar.